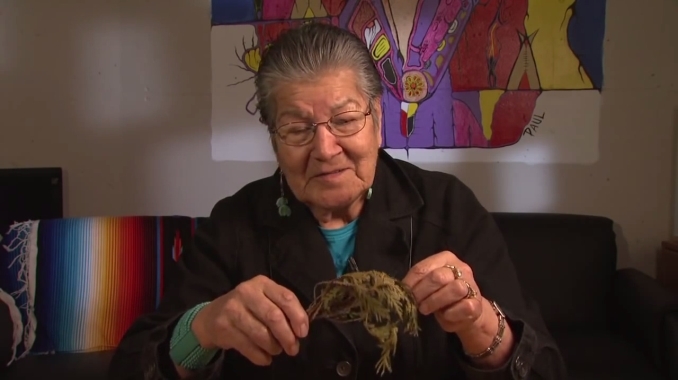 Aboriginal Students Health Sciences (ASHS) Elder in Residence Bertha Skye talks about various Indigenous medicines and cultural practices. This episode looks at the power of Cedar. Cedar was the first tree in Creation and one of the most powerful medicines. Any user of alternative medicine is acquainted with the healing properties of the cedar tree. The tea of the twigs and branches is simmered until the water in the pot begins to turn brown. It is then used for fevers, rheumatic complaints, chest colds and flu. Cedar Tea and Cedar Baths are excellent for reducing turmoil as it is physically cleansing and brings a fresh air to the sufferer which lessens the resistance to needed change. Its application as a prophylactic is especially recommended to people subject to serious physical and mental stress (e.g., soldiers, athletes, students and managers) – not to mention smokers – thanks to the accelerated formation of free radicals in their bodies. It is fully and totally effective in the healing of ailments related to the musculoskeletal system (in pre– and post–operational conditions), skin disorders, the locomotor apparatus, respiratory disorders, as well as the digestive and cardial systems. Cedar can be applied externally for extreme pain in muscles using the oil mixture warmed. Do not warm any herbal salves or infused oils in the microwave. Responses to "Cree Elder talks about how the natives used the powerful Cedar to cure diseases"
cellulitus on the lower legs ? I wonder if the cedar of the desert southwest would also work? They are slightly different than those found in the north. does anyone know what species she is using of Cedar? The species used by the Cree and Ojibwe is Thuja occidentalis, also known as white cedar or northern white cedar. I would love to know how much cedar tea was added to the bath water. Thanks so much for sharing about the carpal tunnel also. Where do I get some in central Saskatchewan? It was really cool that she shared her story with us. Thank you. The Russian woman Anastasia also uses cedar from the tundra of Siberia for healing. The oil as well as wearing amulets that you rub. There are several Anastasia books written by Vladimir Megre available.